Senran Kagura Burst: Re Newal 2018 trailer!! Funimation’s license for Shiki ends this month! 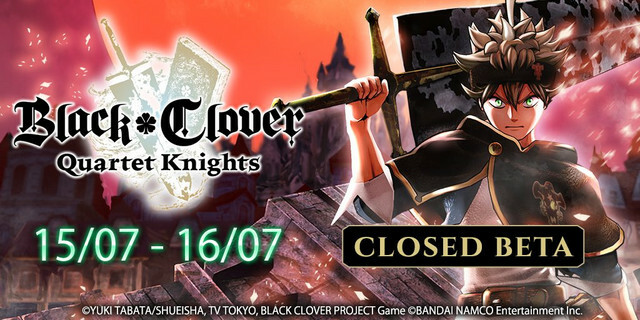 Bandai Namco announces closed beta for Black Clover: Quartet Knights!! The video game adaption of Yūki Tabata’s popular fantasy manga “Black Clover” is not due out until later this year on September 13. However, fans itching to get their magic groove on will be able to try out Black Clover: Quartet Knights next month. Bandai Namco will be having a closed beta testing of the game on July 15 – 16. No PSN account is necessary so registering is easy; although, this does not guarantee a spot in the beta test. As it stands, only Europe and Japan will be holding the closed beta while dates for North America have yet to be announced. We are looking for skilled magic users for BLACK CLOVER: QUARTET KNIGHTS’ Closed Beta!